Enjoy the wild horses that roam free and the highly disciplined racing horses that strive to cross the finishing line as the first. Horses are elegant and intelligent creatures that have fascinated human beings for many centuries. 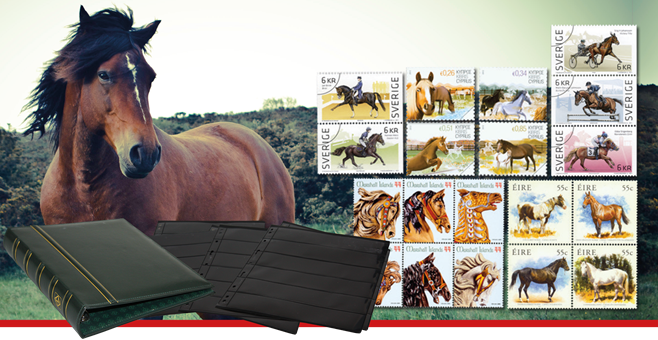 Approximately once a month you will receive hand selected stamps with horses for around € 15.